Which planes to swap out? I have a nice little collection of planes now but find I am hardly using some of them. LN #4 bronze smoother with 50 degree frog. I have a hard time with this plane – fussy to set up, lateral adjustment is really touchy. I haven’t yet mastered honing with a camber. I did clip the corners, but in general have a hard time getting nice, track-free surfaces. I usually follow up with a card scraper. I have some other small block/shoulder planes that do get used. But I’m wondering if I might be better off with a low angle smoother, or just get an assortment of blades for the #62. Is there any reason to get something like the LN 164 and use that over the #4, with a variety of blades? It seems pretty similar to the 62. I’m sure I could spend some time with the #4 and get better with it, but in general it seems if one can eliminate the frog, chipbreaker, and lateral adjuster and still get the same results, that would be a big win. 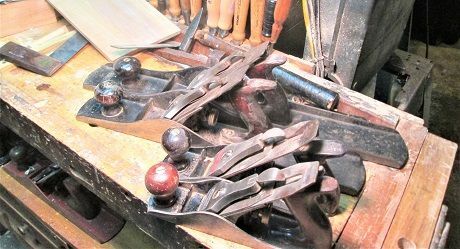 I love all my low angle planes (Block Plane, No.62, Jointer), I have the same opinion and thoughts about traditional hand planes, its like disassembling the whole tool every time the iron needs to be sharpened….I find WAY much effective a blade working at 12 degrees, it has way much resistance, with the simple advantage of just changing the edge pitch for different needs…..less is more! WR #62…...way too finicky to set up….loves to do tear-out…. Regarding your #4, and the lateral adjuster….. they are all finicky to a point. I don’t use them at all, I’m a tapper, either with a small brass hammer, or just a piece of scrap hardwood. A few taps on the side of the iron one way or another is so much more accurate when fine tuning your shaving. I view the lateral adjuster as a crude tool to get the iron more or less where it should be, then start tapping. Try it, you’ll like it. I sold the HNT Gordon. Now it’s time to purchase a replacement. I’m leaning towards a low angle BU smoother with a variety of blades, but am not sure if this would be redundant with my #62 LN. On a different matter, I’m consider switching over to LV, at least to check out one plane. I’m particularly interested in their set screw design to keep the blade where you want it. 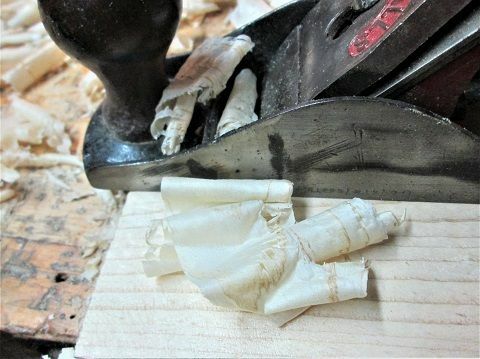 I use my LN low angle block plane every day. Beautiful tool, BUT: lately I’m getting really frustrated by the blade shifting around laterally, as well as the mouth of plane closing up on me as I plane. I often use two hands on it and am gripping the knob/throat adjuster area and it’s easy to bump it loose. Really a hassle. The locking knob for the iron doesn’t seem strong enough to keep the blade from shifting. This is borderline a deal breaker for me. I see LV has a set screw at the mouth of the plane, as well as the lateral screws. If in function these prevent my two issues, I’ll be a convert. I have some hardly used ones but still keeping them. Ben that # 4 is a good plane. It’s worth keeping it will pay you back someday. I also had trouble when I first got my smoother it took some time to figure out. The LV low angle jack is a good plane. The set screw feature isn’t that useful, but the norris-style adjuster is amazing compared to the LN. Mine is borderline unusable because of the amount of lateral slop. I frequently change the depth of cut, and every time I do the blade skews drastically and is super fussy to get back to parallel and stay there. I have to believe the set screws on the LV would fix this. Aj2 – Thanks. I’ll hang on to it awhile longer and see if I can improve with it. bobasauras – Thanks. The Norris-style adjuster on the LN is also the lateral adjuster? I’ve read some reviews that complain about this, so it must be a sort of split consensus. But I’ll admit I’m growing very frustrated with my LN planes. My LN low angle jack doesn’t have the same degree of problem as the block plane. The blade skew is easier to control. Ben, I am going to be blunt. 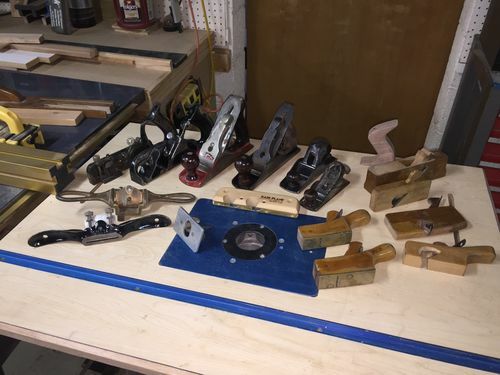 You need tuition in sharpening, setting up a plane, and planing. Until you get hands-on help here, all the new planes in the world will not turn you into a proficient hand plane user. The HNT Gordon A55 is a really easy plane to use. The LN #4 should be easy to use as it is designed to be fool-proof .. one takes it up a notch when using the chipbreaker, but that lies in the future. Hang onto this plane. 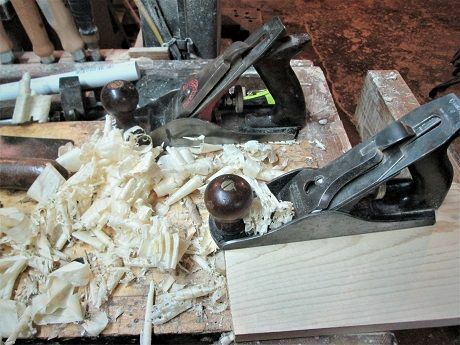 The LN block plane … well it sounds like you have not tightened down the lever cap properly. 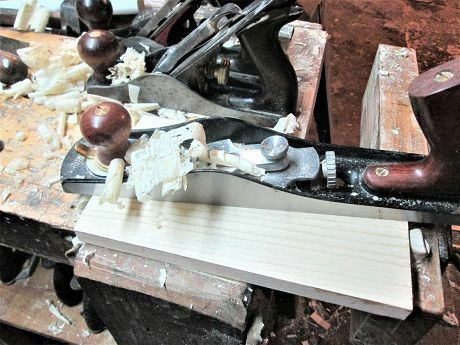 It is an excellent block plane. BU planes are the easiest of all to use, but as bench planes they require more attention to sharpening than BD planes. High cutting angles and the need for camber are skills you must master. After that they are fool proof. The Veritas BU Smoother is the best on the market – better than a LN #164. But I would not recommend buying one until you learn to use what you have. I’m the first to admit I’m not a seasoned pro with hand tools. But you have to admit the lateral slop in the LN block plane is an issue. Every time you loosen the lever cap (which by the way is very awkward for my hands) all bets are off with the blade as it will flop around. What am I missing here? To have to adjust the blade laterally just about every time you advance or retract it seems crazy. So maybe it’s all my poor technique and I’d love to hear how to correct that. Maybe It’s finding the “sweet spot” for lever cap tightness. The HNT has been sold. Whether it’s easy to use or not was beside the point for me as I just didn’t seem to have a use for it.